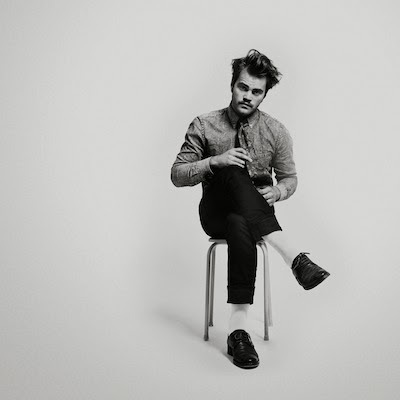 Norway via Belgium native, now Liverpool resident, Mikhael Paskalev has had heads turning for quite some time as his catchy blend of Folk-Pop melodies travel the world over gathering a continued hype. With an Americana twinge formulating a cross between Edward Sharpe and a more upbeat Johnny Flynn Paskalev manages to create some of the most ambitious pop songs to date. At serious risk of overplaying his single I Spy comes great news of a debut UK release on November 18th through Communion Records (via Obscenic Records) consisting of his 'I Spy' EP. There's no doubt that the rest of the EP will live up to the incredible success its title track has recieved with André Chocron's directed video having almost racked up 1 million YouTube plays becoming one of the most infectious I've ever seen. I'm not sure whether it's the seamless dancing that fits so well with the rhythm, the slow-mo/real time effects or a mixture of both that has had it on constant loop all weekend but one thing's for certain, it's a fantastic effort. Mikhael goes on to say "I wanted to dance the way I’d dance if I was on my own. Plus, the label gave me money to make a video, so I thought it would be fun to find out how it would feel to be Tom Cruise for a day"
Paskalev will bring his live show to the UK for dates with Half Moon Run this November along with a headline London show. Full details below.